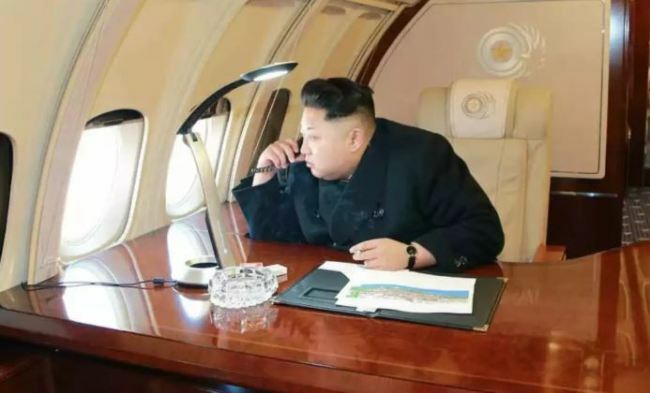 A Chinese airplane landed in Singapore on Saturday after leaving Pyongyang, days before a historic summit between US President Donald Trump and North Korean leader Kim Jong-un, a website that traces flight routes showed. The airplane for the Chinese air carrier, Air China, arrived at Singapore's Changi Airport at around 4:22 p.m. (Singapore time), after departing from the capital city of the communist country at 7:04 a.m. (Pyongyang time), according to Flightradar24. Though who was on board was not known, experts and watchers said an advance team from North Korea would fly to the venue ahead of the much-anticipated talks on the North's nuclear weapons programs, which will take place at the Capella Sentosa Hotel starting at 9 a.m. on Wednesday (Singapore time).